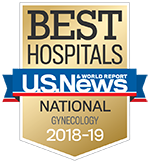 As part of our commitment to providing unparalleled women’s health care, the University of Michigan Von Voigtlander Women’s Hospital is committed to providing women access to educational resources, wellness information, and outreach activities. In addition, our full-service Women’s Health Resource Center is located near the Von Voigtlander Women’s Hospital Clinic on the 9th floor of the children’s and women’s hospitals facility. For more information, call 734-936-8886 or email UMHS-WHRC@med.umich.edu.